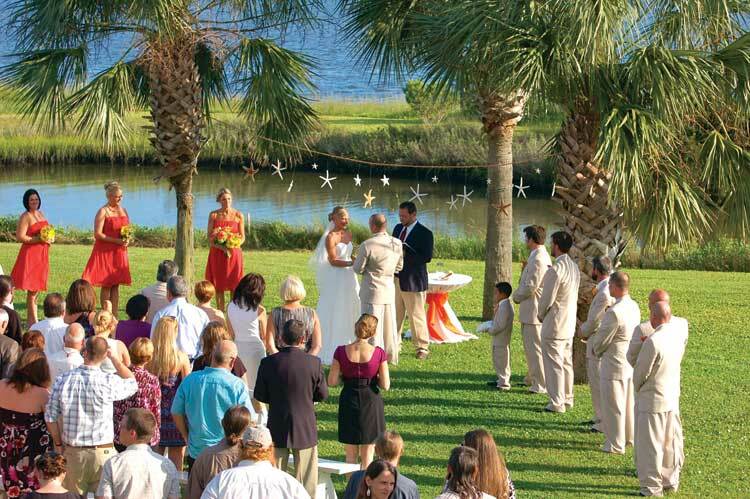 The term "traditional wedding" has rapidly taken on new meaning at North Carolina's Crystal Coast. More and more, brides are opting for a walk through the dunes of a pristine beach instead of the traditional walk down the aisle. For beach loving couples, there could be no other option! And it's not as difficult to plan as you think! 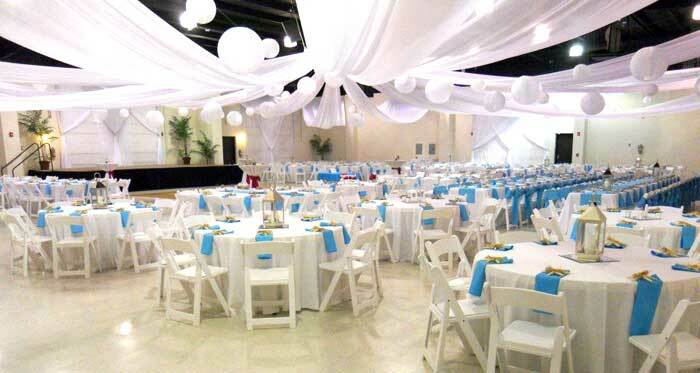 Like any wedding, it just takes some thought and organization…and a little help from the experts. Those planning destination weddings will find the area filled with helpful vendors knowledgeable with the latest wedding trends. 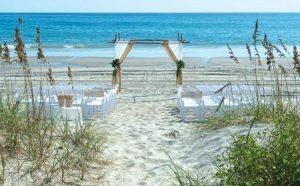 Wedding and event planners, florists, jewelers, bridal shops, bed and breakfast/inns, hotels, rental agencies, event rental companies, party supply stores, caterers and a wide variety of restaurants…the Crystal Coast has it all. 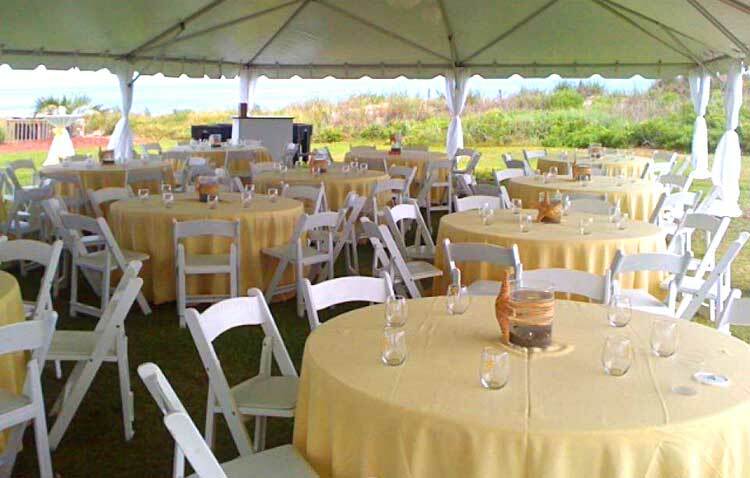 Many of these businesses provide more than one service, if not the complete wedding package. Every bride aspires to make her wedding her own with personal touches and unique ideas. 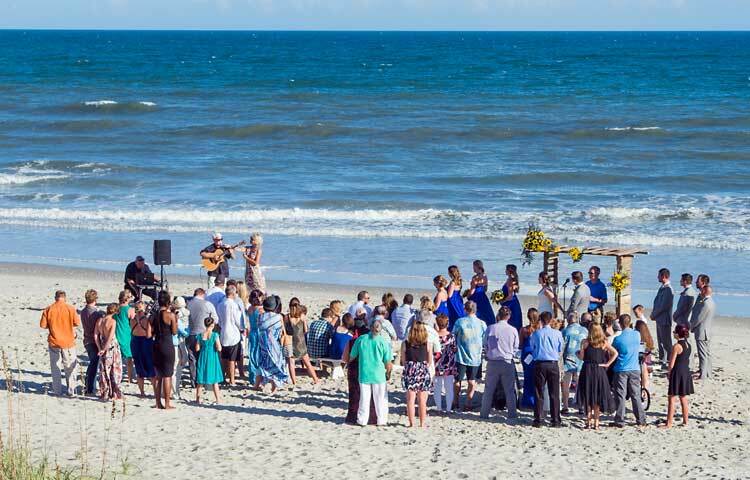 Beach weddings offer a variety of ways to make a memorable day, whether the wedding is "barefoot bride" casual or a bit more elegant. (Who says you can't combine a love of the ocean with sophisticated tastes?) 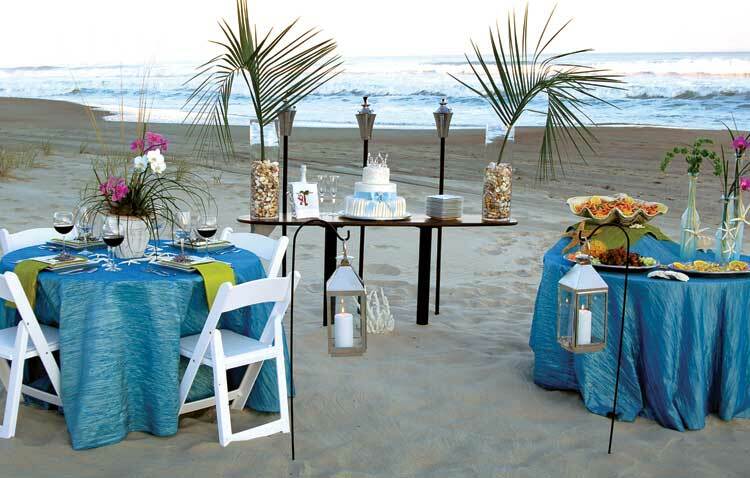 Plus, picking wedding colors is never a problem at the coast. After all, every color goes with gorgeous water, a blue sky and sparkling sand, right?